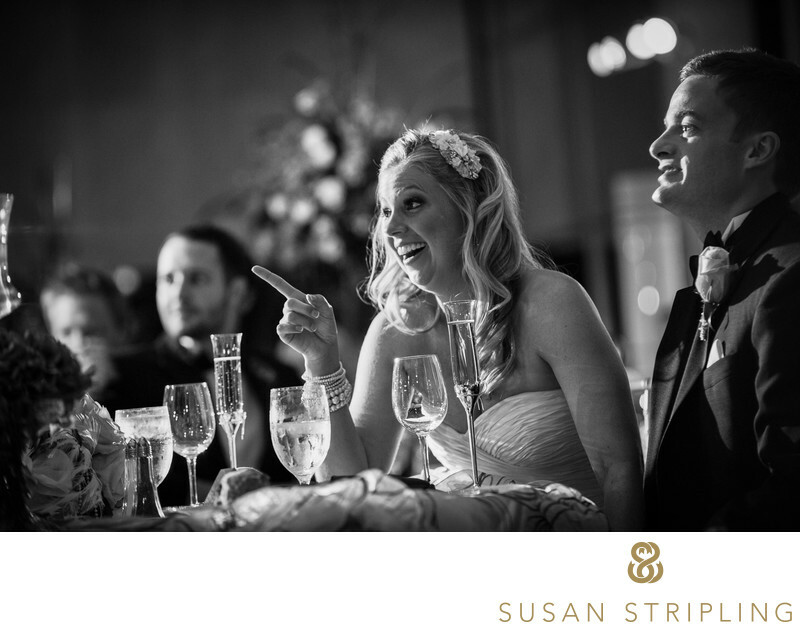 There are so many opportunities during a wedding reception to document fantastic emotion. Sometimes it involves stepping outside for a few portraits. 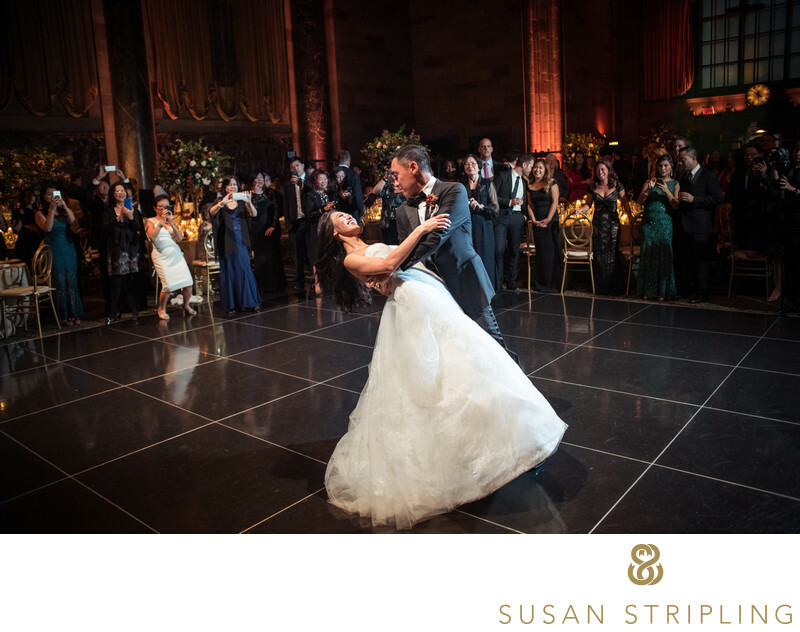 Sometimes it's the first dance, a parent dance, or one of the toasts or blessings that take place during the reception.At this Loews Hotel wedding in Philadelphia, the toasts to the bride and groom were especially excellent. 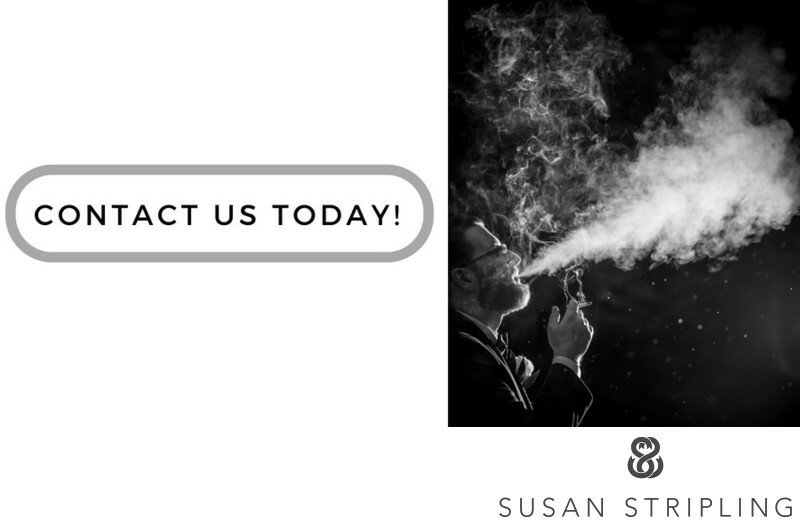 I always love hearing the stories that bridesmaids and groomsmen tell about how they met the bride or groom and the fantastic experiences that they have had together. Since I do not work always with a second photographer on the wedding day, it is my job to document both the person giving the toast and the person being toasted. My assistant is an integral part of this time of day. To give you an idea of how this part of the day works, I'll describe the set-up that I use to make sure these important moments during the toasts are well-documented. My assistant begins by holding an off-camera flash in order to illuminate the subject. He or she keeps an eye on me, and when I turned towards the couple my assistant angles the flash towards them as well. When I turned towards the person giving the toast he or she reciprocates by moving the flash in their direction. My assistant is always watching where I am moving, who my subject is, and make sure that she lights them accordingly. This tandem approach helps ensure that all of these important moments are lit perfectly! Keywords: Loews Hotel (9), philadelphia (435). 1/60; f/3.2; ISO 1250; 140.0 mm.